Could a tiny mobile studio evolve your housing crisis? The Kasita unit comes with a washer and dryer, dishwasher and subwoofer. The floors have bendable tiles, which don't crack during a move. If you travel for work — and you&apos;re tired of living out of a suitcase, renting rooms and sharing bathrooms with grungy roommates — there&apos;s a man in Austin, Texas, who has a possible solution. Call it a long shot. But basically, he&apos;s building tiny self-contained apartments that move when you do. Jeff Wilson gives me a tour of the first prototype. He&apos;s the mastermind behind the Kasita ("little home" in Spanish — only with a "k" instead of a "c"). It&apos;s a steel box, about 10 by 20 feet. It&apos;s different from typical mobile homes in two ways: It&apos;s made for downtown, not the outskirts of a city. And it&apos;s swank: dishwasher, washer/dryer and a subwoofer in the floor — because we can&apos;t live without a good sound system. "It&apos;s essential," Wilson says. "Absolutely." "This is really the personal expression space," Wilson says. "So we&apos;re leaving that completely clean. No desk, no furniture. You can put plants up there or stand out there and do your yoga, read a book. "The Kasita does not have a walk-in closet. Wilson&apos;s team has used various tricks to make the place feel bigger: white walls, reflective surfaces, high ceilings (so you get vertically what you don&apos;t get horizontally). The front wall — the part that would face the street — is a dazzling glass balcony — fully enclosed, like a display case for a luxury watch, only human sized. He&apos;s already leased the land for a rack in Austin. Some units there would go for below-market rates of $600 per month, excluding utilities.Wilson has a vision: that this little Kasita will be just one unit in a vast global network. From New York to San Francisco to Dubai to Beijing, large cities will have something called a "rack" — a building edifice, where you can pop in, say, six or nine units. There would be hookup valves for water, electricity and sewage. Just plug in your home like you lock your bike. And when a Kasita renter needs to move, just press a button on your smartphone and have your home meet you ... wherever. "One of the things we&apos;re trying to solve for is having your own place, and not getting on Craigslist and finding a bunch of roommates that have too many cats and too much bong water left out on the dining room table," Wilson says. This idea — that today&apos;s wandering class needs wandering homes, too — it resonates, though I ask him about a potential downside. If this takes off, couldn&apos;t people be even more disconnected from each other — and from communities — than they are today? He doesn&apos;t buy it.Dismissively, Wilson sums up the concern "that this is going to create some sort of dystopian wandering millennials out there — you know crazy on Tinder, roaming around the planet in their Kasitas." Neither does San Francisco-based architect Mark Hogan — though for different reasons. Hogan writes about tiny homes. He finds it surprising that anyone has built a prototype for a tiny apartment that moves because, he says, it&apos;s so unlikely to work. "If you&apos;re living in 200 square feet, you can just hire somebody to pack up your stuff and move it fairly easily," he says. "I&apos;m not sure who ... both wants to live in a small space and be locked into this kind of movable apartment idea." The idea of a tiny home, often factory made, is not new. 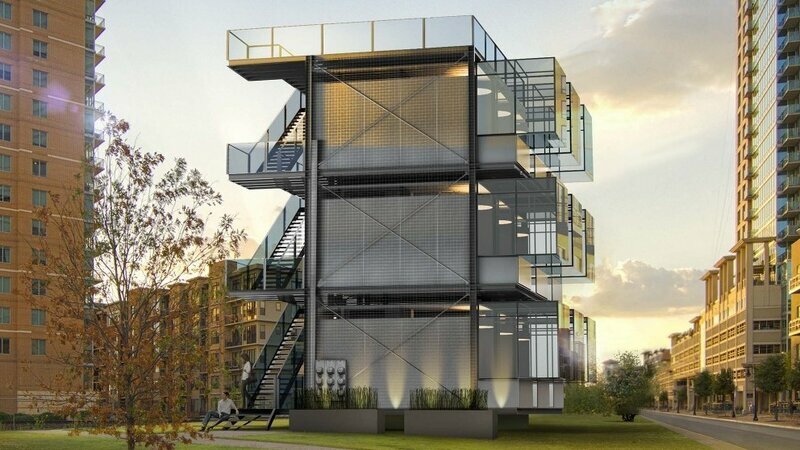 In the Netherlands, a company turns shipping containers into housing that&apos;s about 8 feet wide and up to 39 feet long. In Portland, Ore., you can rent a tiny hotel room to try out the lifestyle. But, Hogan says, there&apos;s a big question mark around how many cities would even want Kasita buildings and whether it could scale up — the cost of moving, just once, is easily thousands of dollars. There&apos;s shipping, the crane you need to lift the Kasita into a rack, the permit to close the street while you move the home. "That&apos;s definitely going to be more expensive, unless there&apos;s some kind of magic that I&apos;ve never heard of in construction that&apos;s going to allow that. 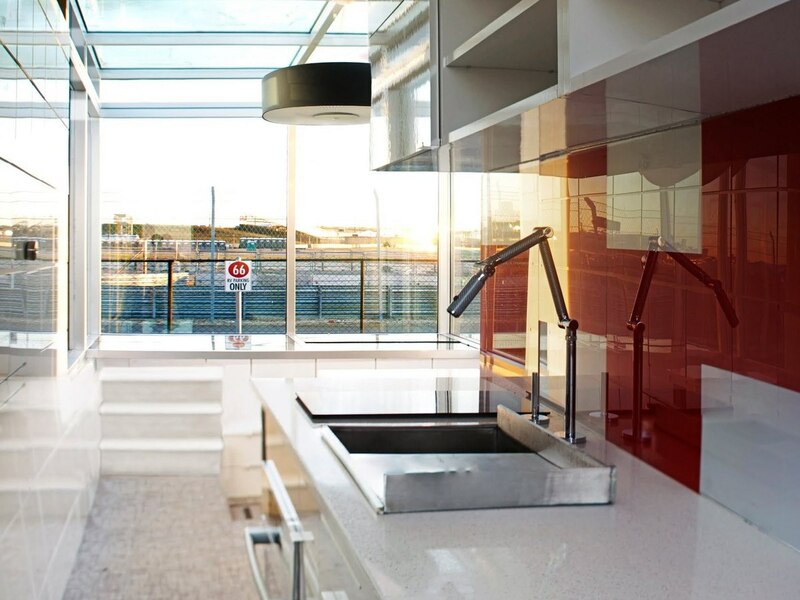 "The Kasita gives the decades-old movement for plug-and-play apartments a new, mobile twist. That said, Hogan has moved about a dozen times in 15 years. So yes, he admits, the idea is compelling.